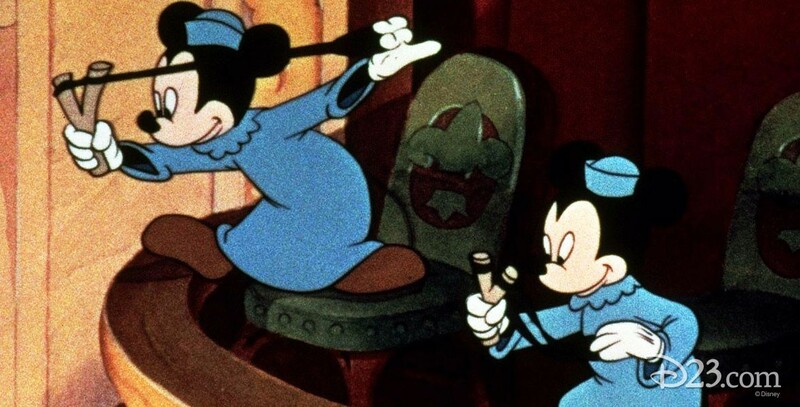 Orphans’ Benefit (film) Mickey Mouse cartoon; released on August 11, 1934. Directed by Burt Gillett. Donald and Goofy were featured together for the first time as they, Mickey, Horace Horsecollar, and Clarabelle Cow try to put on a show for orphans. But the mischievous children take delight in taunting the performers, including eggs that fall on Donald as he tries to recite “Mary Had a Little Lamb.” Remade with updated animation and in color, released on August 22, 1941. The remake was directed by Riley Thomson.